Incoming Quinnipiac Bobcats freshman goaltender Keith Petruzzelli has been named the Dave Peterson USA Hockey Goalie of the Year as announced in a press release by the governing hockey body in the United States. Petruzzelli, a native of Wilbraham, Massachusetts recently concluded his first and only season with the Muskegon Lumberjacks where he led all rookie goaltenders with 22 wins and had a .918 save percentage. 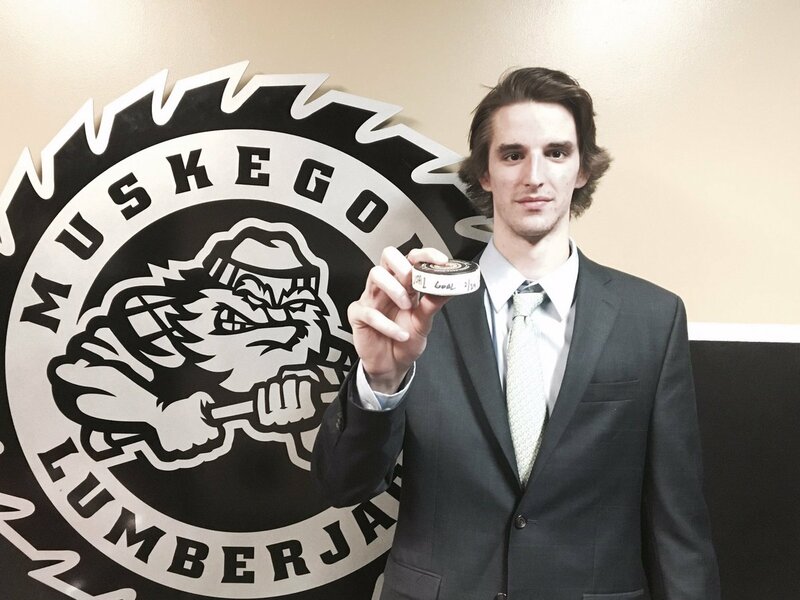 He led the Lumberjacks to the Clark Cup playoffs where he had 52 saves in two starts against Dubuque. In January, he was named the Most Valuable Player of the 2017 USHL/NHL Top Prospects Game after making 21 saves in relief in 27 minutes. In February, Petruzzelli became the only USHL goaltender to score a goal this season when he scored an empty net goal in a 4-1 win over the Madison Capitols. Petruzzelli is expected to be a drafted within the first few rounds of the 2017 NHL Entry Draft this June. When he enrolls in Hamden this fall, he will have his brother D.J. on the team as well continuing Quinnipiac's tradition of having brothers in the program. 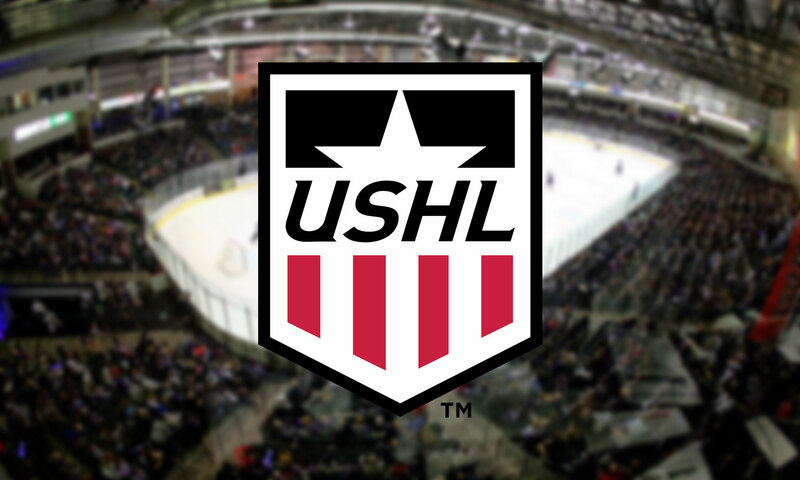 Day two of the USHL Draft saw five more future Bobcats selected in the Phase II portion of the draft for players born 1997 to 2001. Over the two day total, Quinnipiac men's ice hockey team saw eight players in total drafted by USHL clubs with three coming last night and the rest selected today. The first future Bobcat selected was 1998 defenseman Zach Metsa, a Wisconsin native by the Youngstown Phantoms in the 4th round with the 57th pick. Metsa played the the 2016-2017 with the Merritt Centennials (BCHL). In 57 regular season games, Metsa had 27 points (3 goals, 24 assists). He tallied 5 more assists in 11 playoff games for the Centennials. Metsa can either return to Merritt for his final junior season or try to make Youngstown and play at a bit higher level in the USHL. Corey Clifton was selected by the Muskegon Lumberjacks in the 5th round, 78th overall. He spent this past season with the North Jersey Avalanche 18U team where he had 35 points (14 goals, 21 assists) in 38 games played. His team made it all the way to USA Nationals but lost in round robin play. He also captained Christian Brothers Academy where he had 23 points (13 goals, 10 assists) on the season. It is unknown if Clifton will look to make Muskegon during training camp or sign with another league to avoid having to earn a roster spot in training camp. In round nine saw the drafting of Salisbury defenseman Peter Dilberatore by the Bloomington Thunder. He had been a Sioux Falls draft pick in Phase I a season ago but was not protected by them. Dilberatore, a Nova Scotia native had 18 points (6 goals, 12 assists) in 30 games played for Salisbury. A left shot defenseman, he is expected to play another season at the Connecticut prep school. John Campomenosi was drafted by the Madison Capitols in the 13th round, 200th overall. The Wayne, New Jersey native played only played 9 games this season for the New Jersey Hitmen 16U team due to an upper body injury that sidelined him. He finished the season with 8 points (2 goals, 6 assists). Campomenosi also saw 8 games for his high school program Don Bosco Prep in which he logged one assist. He is expected to play another season with Don Bosco and the Jersey Hitmen program. The final future Bobcat selected was 2001 forward PJ Fletcher in the 19th round, 292nd overall by the Cedar Rapids RoughRiders. The Frisco, Texas native plays for the Selects Academy 15 under team at the South Kent School where he is a teammate with current commit Ethan Phillips. In 55 games played for Selects, Fletcher had 54 points (20 goals, 34 assists). He is expected to play another season at South Kent. The USHL Phase I Draft took place last night for the top 2001 born prospects in North America. Quinnipiac has five 2001 born commits but only four can be drafted as defenseman Dom Fensore has already accepted an invitation to play for the USNTDP Under 17 team. That left Nick Kent, Ethan Phillips, Connor Tait and PJ Fletcher eligible to be drafted. Kent was the first future Bobcat selected as he went in the second round with the 24th pick by the Green Bay Gamblers. The Delta Hockey Academy product was invited to the USNTDP evaluation camp but didn't make the final roster. In 30 games for the Delta Elite 15 team, Kent had 24 points (3 goals, 24 assists) but he elevated his game in the playoffs with 6 points (2 goals, 4 assists) in 3 games. The Ladera Ranch, California native will look to earn a spot on the Green Bay roster once he attends the teams training camp. In the third round with the 39th pick in the draft, Nova Scotia born forward Ethan Phillips was selected by the Sioux Falls Stampede. Phillips is in his first season playing for the Selects Under 15 team at the South Kent School in Connecticut. His team made USA nationals in Arizona losing once again to Yale Bulldogs midget program. In 52 games played on the season, Phillips had 67 points (34 goals, 33 assists). He is expected to play another season with South Kent before potentially heading to the USHL. Two of his fellow South Kent teammates were also selected by Sioux Falls in defenseman Simon Mack (Penn State) and forward William Margel. The final future Quinnipiac Bobcat, Connor Tait, was selected in the sixth round with the 85th overall pick by the Madison Capitols. The Boyds, Maryland native is a product of Team Maryland 16U where he scored 44 goals in 34 games which included the playoffs. He was the Washington Post player of the year after scoring 39 goals for Gonzaga College High School in Washington, D.C. Tait is a right shot power forward that has big time goal scoring ability. The only 2001 not selected was forward PJ Fletcher out of the South Kent School who should hear his name called today in the Phase II portion of the draft.